They might just be the oldest mystery in the Stargate universe. The Furlings are an advanced species who, long ago, were members of an alliance of four great races in the galaxy: the Asgard, the Nox, the Furlings, and the Ancients. But what about the Furlings? Over the years we would come to learn plenty about the other three great races. What about this other advanced, presumably powerful species that once walked our stars? Where are they? 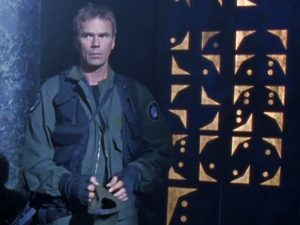 And why, over the course of more than a decade of exploration, did SG-1 hardly ever come across any evidence of their existence? Here we’re running down everything we know about the Furlings from the in-canon universe. We’ll also take a peek at some non-canonical sources, and add a dose of speculation about why the Furlings have managed to keep a low profile for so many years. We first learned of the Furlings’ existence from the Asgard. His brain overloaded with information from the Ancient repository of knowledge, Jack O’Neill managed to gate to a distant alien colony in the Ida Galaxy, where the Asgard could remove the data and save his life. Here Jack learned the names to go along with that old alliance — a “United Nations of the stars” — first discovered on the planet nicknamed Heliopolis (“The Torment of Tantalus”). We knew that four races had once gathered there, utilizing the basic elements of the periodic table to build a universal language. We even had samples of all four of their written languages, carved into the walls of the Heliopolis meeting hall. Only now, though, did we learn the name of the “Furlings.” SG-1 had already met the Nox and the Asgard, and had already speculated that one of the other races (and not the Goa’uld) had built the Stargate network. Did a meeting with the Furlings lie ahead, in the team’s future? The alliance existed many thousands of years ago (if not more), likely before the Goa’uld came to dominate the Milky Way. We don’t know what they did, but they probably shared knowledge — perhaps even helped to cultivate the evolution of younger races. We know that the alliance eventually dissolved. The Ancients moved on from this region of space — a reference either to their migration to the Pegasus Galaxy millions of years ago (“Rising”), or perhaps to their ascension only thousands of years ago. If it was the latter, then the alliance wasn’t all that long ago — so the Furlings have been missing only for thousands of years, not millions. Was this once the Furlings’ home world? Or perhaps only one of many colonies — just as the Ancients and their descendants populated many different worlds throughout the Milky Way? What is perhaps most striking here is that this is the one and only planet where evidence of Furling civilization was ever found. That’s after a decade of two dozen S.G. teams exploring hundreds of planets. That sparsity seems conspicuous. It might suggest that the Furlings originated here and didn’t spread out to other worlds. Or, it might imply that they weren’t even originally from this galaxy. 777 may have served as an outpost in the Milky Way. Any species that is reckoned among the “four great races” of the galaxy is likely going to be technologically advanced, and to a significant degree. It’s not too far a stretch to suppose that the Furlings’ advancement was roughly on par with the others in the alliance. The Furlings might be space-faring, and would have something to offer to the other member races. The teleportation tech requires a key device to dial the control panel. 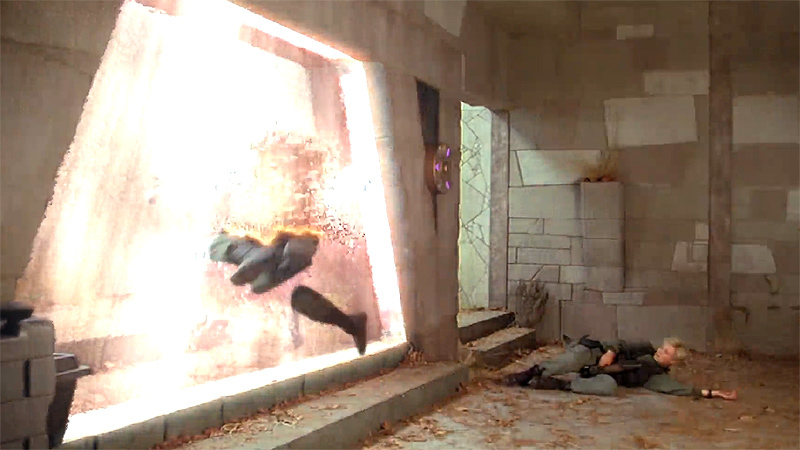 On P5X-777, SG-1 discovered the one and only piece of Furling technology ever found: a large archway, which when activated can transport people across great distances. 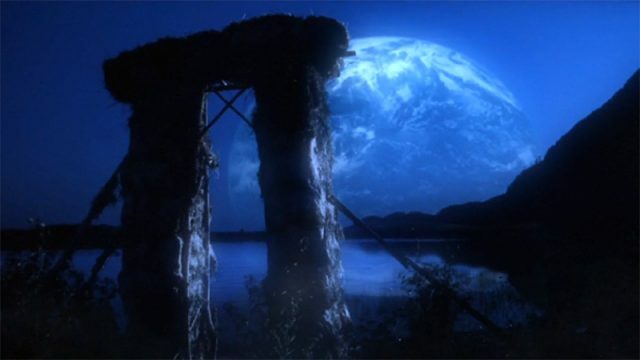 In this case, the arch connected to the planet’s nearby moon — which was also inhabited long ago. While it’s possible that transportation arch can go to other places as well, we do know that the technology needs a key in order to be activated. And it is not a simple On-Off switch: the key activates a control panel, where certain symbols need to be “dialed” in a particular order. 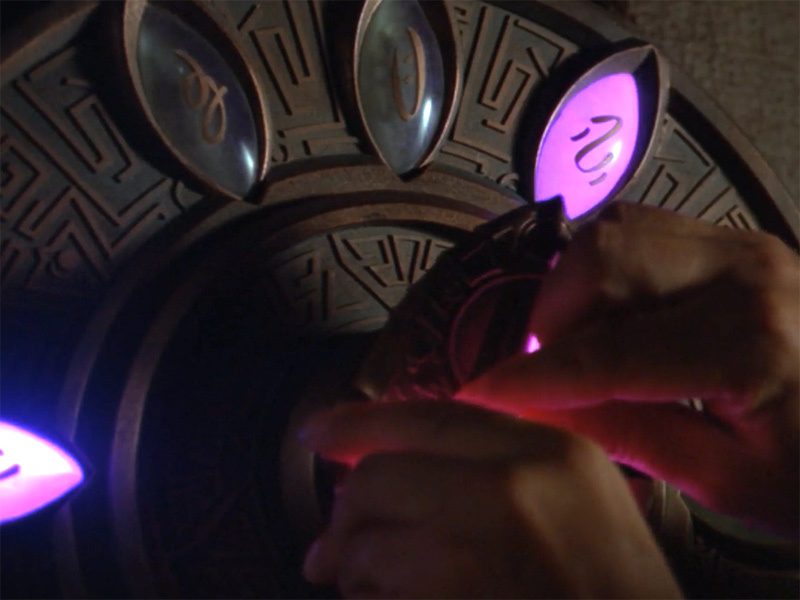 It also was programmed to filter out Goa’uld-made weapons, preventing them from being brought into the colony. Curiously, one such key to the arch was discovered on Earth, buried in the tomb of an Egyptian pharaoh. This historical nugget implies some sort of connection to the Goa’uld — perhaps Ra, the Supreme System Lord, who ruled Earth from Egypt (where the Stargate was located) some five millennia ago. Did Ra take the key device from a living Furling? Did the Furlings themselves visit Earth? On that moon orbiting P5X-777 a particular community of people once dwelt. They lived a simple live, evidently out of doors and with no evident technology to speak of. They also left invitations for others to come and join them — and it was this that brought Harry Maybourne to the moon. 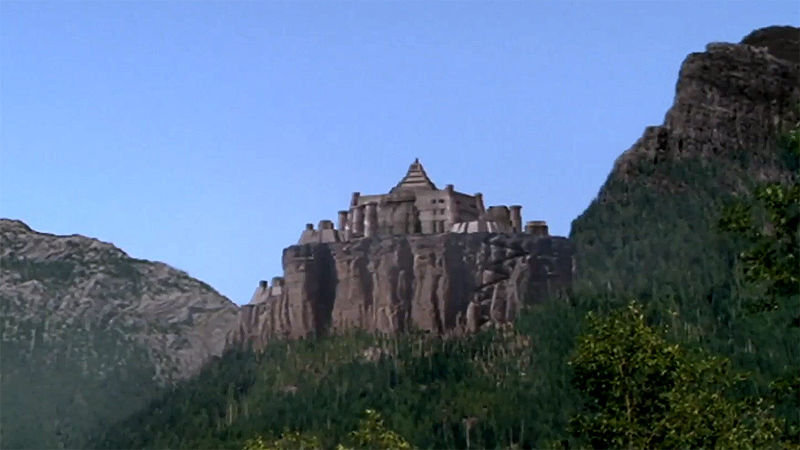 That colony apparently came to an end when (Jack hypothesizes) the Goa’uld brought an edible plant to the moon, which drove everyone mad with paranoia. It should be said first that the people who lived on the utopian moon may not have been Furlings at all. Based on the skeletal remains at least some of these colonists were humanoid. (The Furlings may, or may not, be humanoid.) Because the utopians apparently left instructions on how to find them, though, it’s entirely possible that members of many races lived there — and that the skeleton did not belong to a Furling at all. 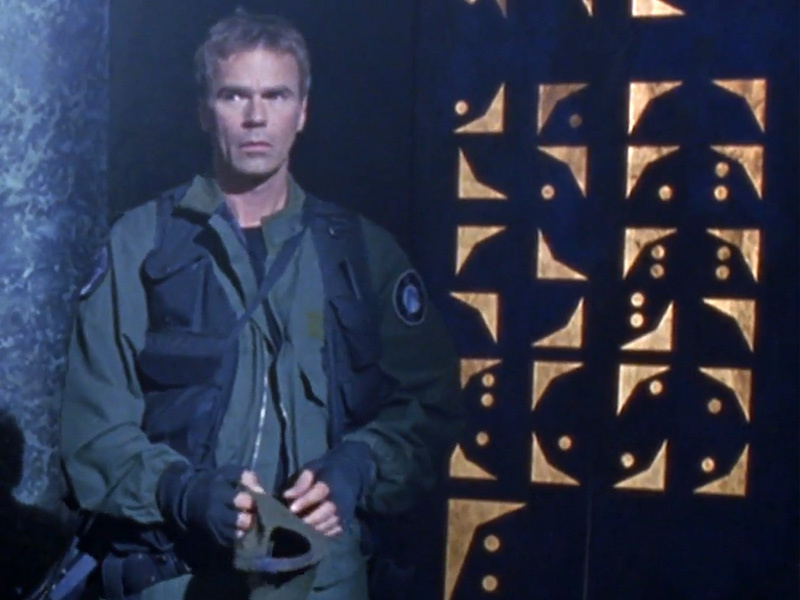 Jack O’Neill also discovered evidence that the utopia was infiltrated by the Goa’uld, who may have played a role in further advancing the society’s downfall. It seems reasonable to conclude that the Furlings originally founded the utopian colony, even as they opened it up to many other races. Or they may not have lived there themselves — only gifting their technology to the natives. The presence of Furling technology here seems to provoke more questions than it answers. Contrary to popular belief (brought up on screen by just about everyone who hears their name out loud), we have no reason to believe that the Furlings are furry. They almost certainly do not resemble Ewoks or over sized koala bears … though the one time they were depicted on screen, that’s exactly what they looked like. 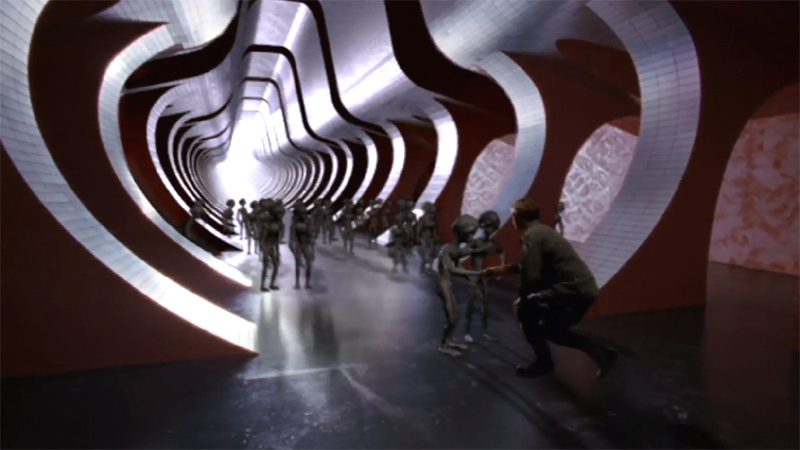 The Furlings’ appearance on Stargate SG-1‘s 200th episode depicts an incident that in fact never happened. It’s a story being “spun” in the conference room, as Martin Lloyd is looking to SG-1 for some inspiration for his new Wormhole X-Treme! sci-fi movie. 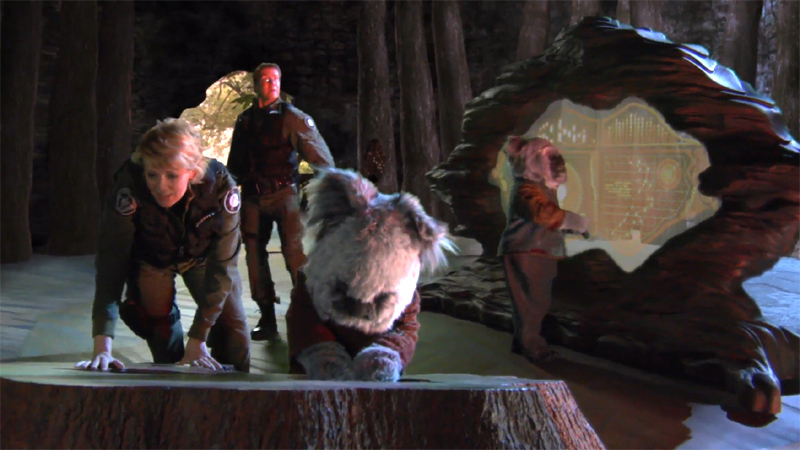 SG-1 never found a colony of furry Furlings, and that planet was never attacked by Goa’uld ships or destroyed in a fiery explosion. It was a fun nod from the writers to the show’s fans, who had been pestering The Powers That Be for eight years about the Furlings. 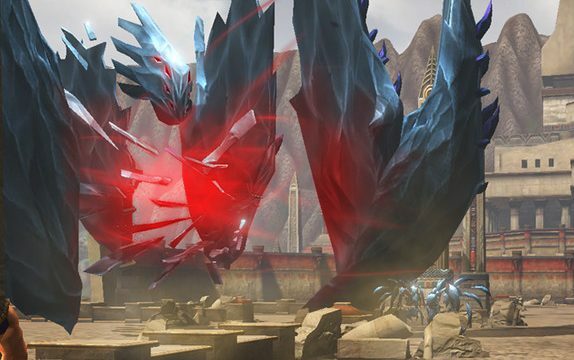 Not only did we finally get to “meet” the legendary race … but, as it turns out, they really are cute and fuzzy after all! Then they all get blown up. Official sources outside of Stargate’s canon occasionally make reference to the Furlings, too. 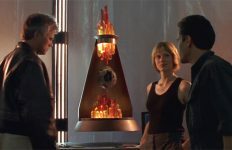 The Stargate SG-1 Role-Playing Game (Alderac Entertainment, 2003) suggests that the Furlings helped to seed the Madronans, hinting that the Touchstone weather-control device might be their technology. 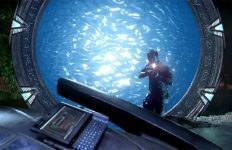 The MMO-RPG Stargate Worlds was never completed, but some of its story details have leaked out over the years. There, the Furlings are said to have created the Goa’uld (or perhaps helped in their evolution) in the hope of creating a caretaker species for the Milky Way Galaxy. 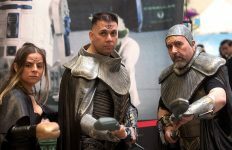 But the Goa’uld turned on them, corrupting the Furlings and creating an offshoot species called the Straegis (which were to feature in the game). It’s not canon, but it sure is a wild and interesting idea! Where Are the Furlings Now? 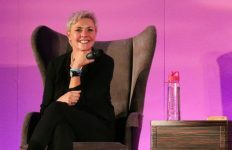 Three possibilities suggest themselves — and the writers of future canonical Stargate stories could certainly pick up this loose thread. One possibility is that the Furlings are extinct. Like the Asgard, perhaps they faced some biological problem of their own making (for the Asgard, it was reproduction by cloning). Or maybe it was a disaster of a technological nature (again, like the Asgard faced in the Replicators). We haven’t met any Furlings because there aren’t any. Second, it may be that the Furlings retreated to their own corner of the galaxy and have no interest in the affairs of others. This was certainly the strategy of the Nox. Whether it is born from xenophobia or just disinterest in the younger races, they might be living out their days on a distant planet not discovered by Earth. Perhaps one without a Stargate. Third and finally, when the Alliance dissolved and faded into distant history maybe the Furlings chose the path of the Alterans (the Ancients). Maybe they just moved on from our region of space, settling in a new galaxy (such as Andromeda). As far as we know Earth has never sent a ship that way, nor would a galaxy untouched by the Ancients have any Stargates at all. Stargate Worlds reportedly also intended to introduce the idea that the Furlings are extra-dimensional beings. Perhaps if they left our region of space, they also retreated from our dimension. In any case, the legend of the Furlings lives on … and presents a big opening for telling new stories. Will we have a chance to learn more about the Furlings within the canonical Stargate universe … and maybe even see them one day? 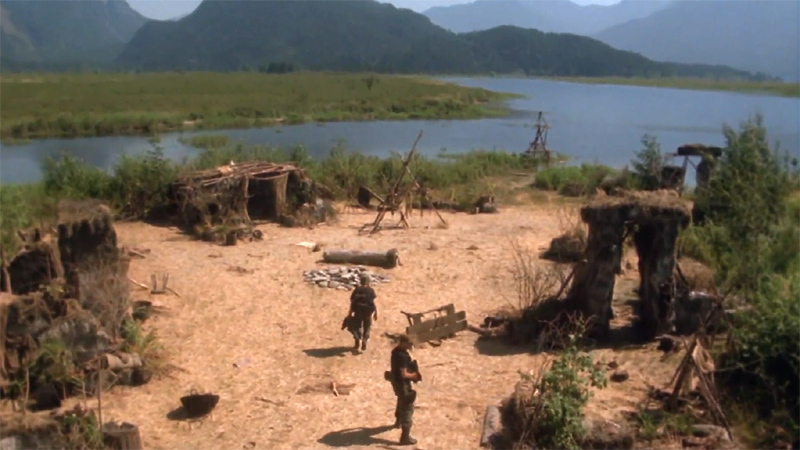 Stick with GateWorld for our continuing coverage of Stargate’s past, present — and its future. The fan fiction group have come up with some nice stories about what happened to them. 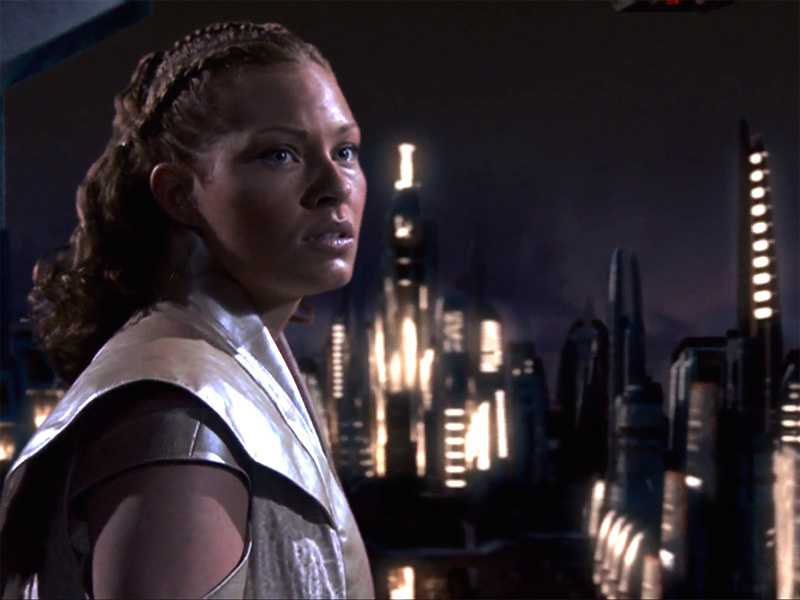 The fanfiction Contact at the Citadel is a Stargate SG1/Mass Effect cross over and in that the Furlings moved to a galaxy far, far away. It is a mystery I would love to see officially answered by MGM and Company. There was more technology on that moon than just that gate. The moon had some type cloaking system.